GTFO THIS GAME UR RICH ENOUGH! 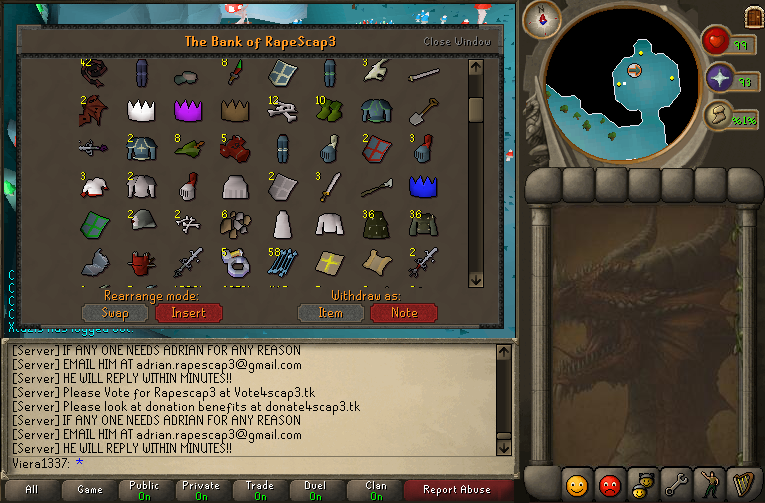 The title says enough, look my bank bougth and made em myself fair enoug, took some time, but now i FINALY got it!! VIERA GOT YOUR ITEMS, IT WASNT ME!!!!!!!!! Shure braouw i bougth em, cause u scammed me aswell, so i bougth this for 90m rsgp..
You hacked and bankrobbed "mike" and now your banned. Enjoy -.- I warned you. 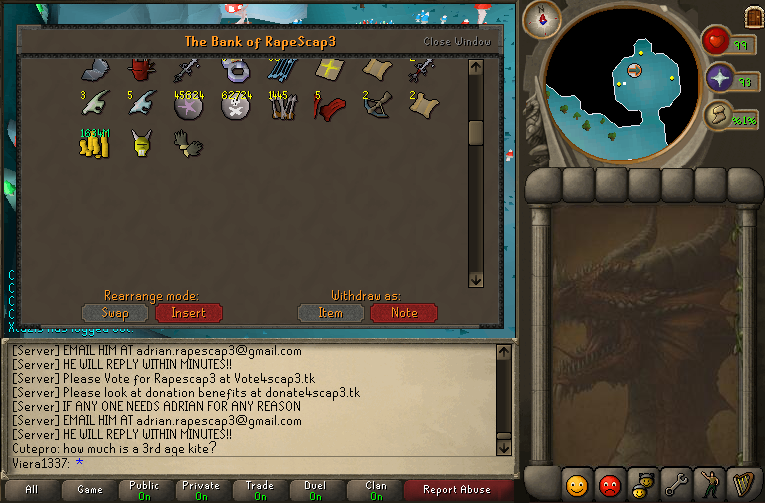 Sure i hacked, when u gave me the pass, and i got bankrushed with it by the b 0 s s, so..